I went to start my bike the other day and it wouldn't start. Then I stepped away and saw liquid, flowing out of the carb(my guess-black plastic thing above kick starter- see photo of afterward). And thought it wasn't only gas. So I checked the oil and a gusher of gas and motor oil shot up from the engine oil dip stick check. JEEZ!!! what do I do? I am pretty handy so can handle most jobs, just not sure what the heck happened while the bike sat around quietly for a few weeks, while we were away. Helpers???? this was afterward when I stuffed a paper towel to catch the drippings. carb right? Your petcock/fuel-tap is leaking. You must replace it. 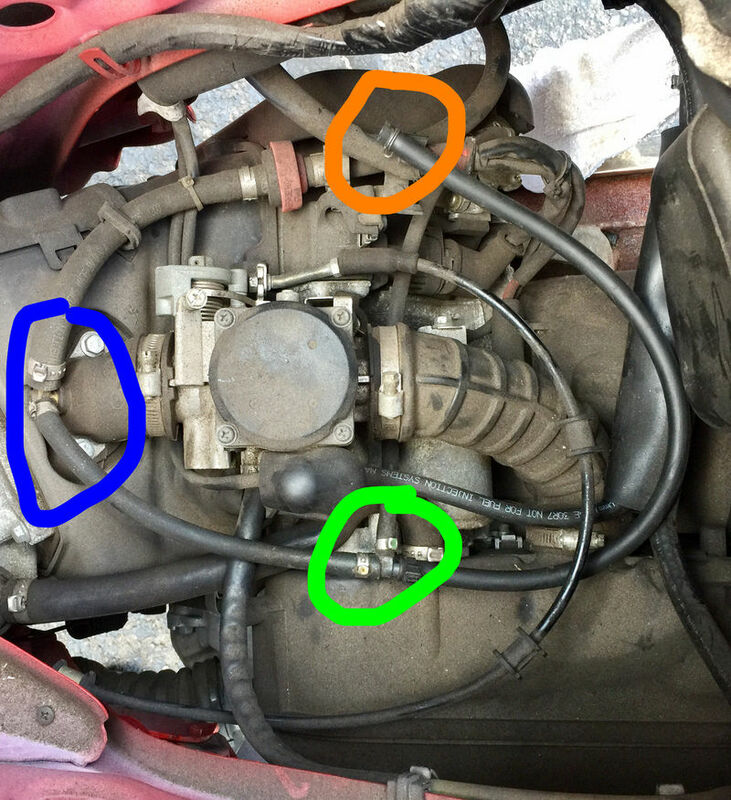 Here's what is happening: When the engine is off, the lack of engine vacuum causes a (properly working) automatic fuel-tap to close, which in turn shuts off the flow of fuel to the carb. When the tap fails, it can stay open even when the engine is off and not using fuel. Eventually the fuel drains from the tank, thru the tap, thru the carb and into your engine. it drains down even into your crankcase, which is why you had fuel flowing out of your crankcase when you removed the dipstick. Here's what you need to do: 1. Drain the tank and replace the tap. Either use another automatic (vacuum-operated) Vespa tap for convenience (but it will eventually fail again), or purchase and install a Malossi manual tap. You lose the convenience, but it will never again fail. 2. Drain your crankcase, replace the oil filter with a new one, and refill the engine with oil to the manufacture's spec. You will be fine. Change the fuel and vacuum lines also. Mine last 4yrs. I have a '07 also. Almost have 44,000 mile on him now. And clean /re-oil the air filter. All of the above and: when you order the new fuel tap, get a new float needle as well. It is the second fail safe in the fuel delivery system after the tap. 1-will I need any special tools to replace it? All the videos I see online about replacement of this part are for vintage vespas and not modern vespas, and the vintage one seems to have a different fuel tap and requires a special tool to reach into the tank. Same thing? 2-where is the fuel tap located? How do I get to it? 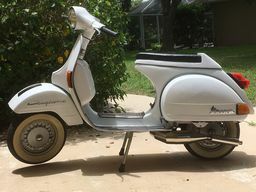 Again, in the vintage vespa it is in bottom of tank, has it changed on the modern ones? Is the thing I posted a picture of it? If so, how is the old one removed? Yours should be located under the right rear of the scooter. You will need only a bucket, a screwdriver and a pair of pliers to remove it. The bucket is so you can drain the tank. The stock fuel tap will have two lines on it, one is for fuel and runs to the carb, the other is for vacuum and runs to the manifold between the carb and the engine. 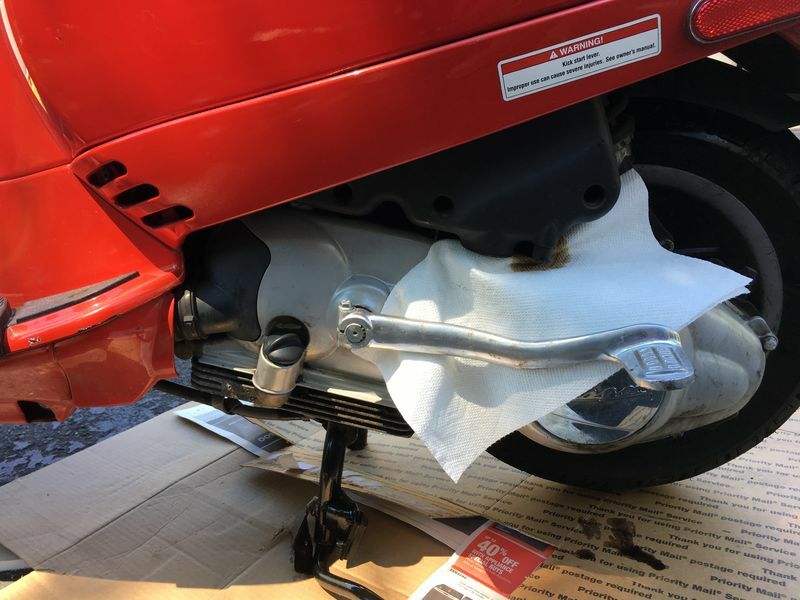 Since you will be installing the Malossi manual fuel tap, you no longer need the vacuum line, so you will need to pull the vacuum line, throw it at the cat, an then cap off the hose fitting on the manifold. Thanks. 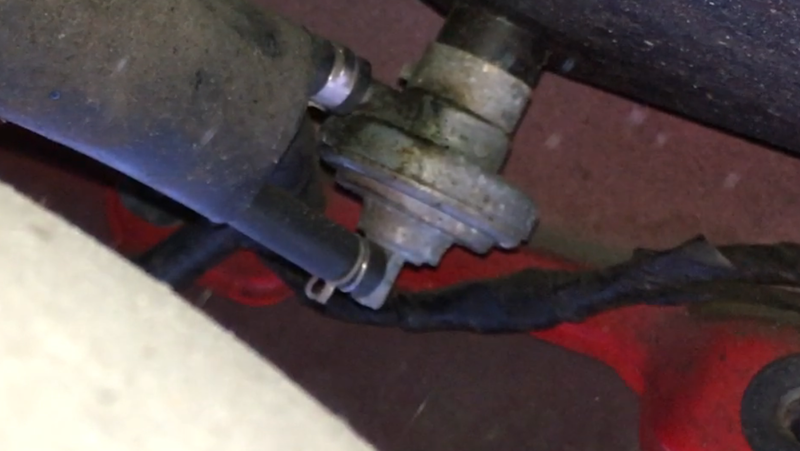 How will i cap off the hose fitting at the manifold? what will i need? You can use an appropriately sized rubber cap (for vacuum lines). You can buy a small bag of them at any parts store for 2 or 3 bucks. Just ask the guy at the counter to help you find them. Piece of cake. Don't sweat it. Keep spares of the caps though. They usually last about 3 years. blue is where the Tee leads too. Where should I cap it? Should i simply remove the Tee and replace those other two lines with a single line? Oh, fuel line is 3/16" but what size is that vacuum line and what size caps? If it were my project, I would just plug off that vacuum line with a suitably sized bolt and lay the line aside (or zip tie it to a parallel hose) out of harms way. Inelegant solution but totally functional. This way you or the next owner can go back to the stock tap if need be. "Should i simply remove the Tee and replace those other two lines with a single line?" Bingo. Given your set-up, that's precisely how I would do it. Much cleaner. Or you can cap the T. Or you can put a bolt in the end of the hose you pulled from the stock fuel tap, but the threads on a bolt don't seal as well as a cap. What is teh "convenience" you lose when installing the Malossi tap? I have a similar problem and need to replace my fuel tap on my Fly 150. You lose the convenience of an automatic fuel tap. 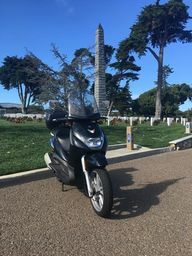 The Malossi is manual, so before you start the bike you must reach under the right cowl to turn on the fuel, and when you stop the engine you must reach under the cowl again to turn it off. Motorcycles have had manual taps almost since dirt was invented, so to me it is not much of a convenience at all. However, for those who have gotten used to the bike automatically turning on its fuel supply and then automatically turning it off, their now having to do it manually will seem inconvenient...until they realize their manual tap is supremely reliable and will not fail and fill their engine with raw fuel again. How often will it need to be shut? Every time? If you make a 5 min stop at a store? An hour stop for a meal? Or is once its away for the day good enough? Good question. Five minutes, a short stop, an hour or so, should be no problem. When you put it away for the night, however, you certainly need to shut it off. Still, once you get in the habit, it's just no big deal to shut it off whenever you stop for more than ten minutes or so. I've always done that with my bikes over the years, and just about every other rider I've ridden with has done it the same way. No sweat. Not sure I can go with the Malossi fuel tap as the tap is well hidden under faring. Given the issues I have had I would go with the more reliable (and less expensive) option but do not think I have an option.